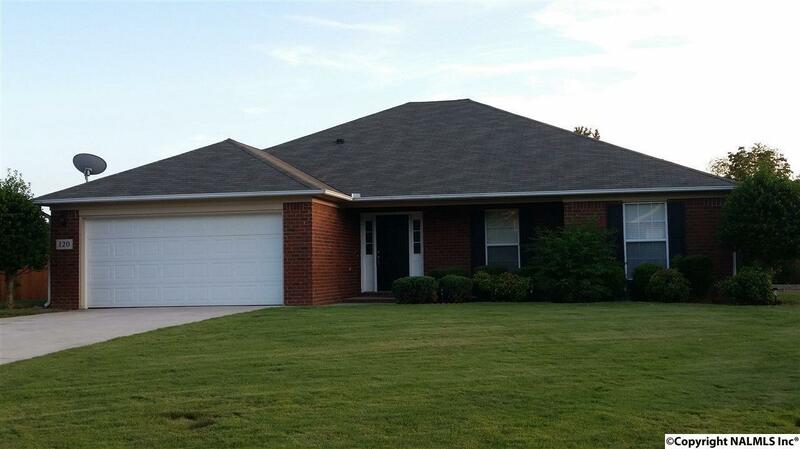 Full brick home on half acre just minutes from Research Park and Redstone gate 9. Master bedroom has sitting area great for an office, nursery or lounging. Open floor plan and wood burning fireplace. Master bath has garden tub, separate shower and large walk-in closet. Home is in cul-de-sac and has a covered front and back porch for entertaining. Large back yard includes storage building 20 X 10. Currently has a termite bond.